for marking/writing on Waterproof notebooks, Laminated Maps, Glass, Acetate, Film, Plastic, China, Porcelain and all polished and glossy surfaces. 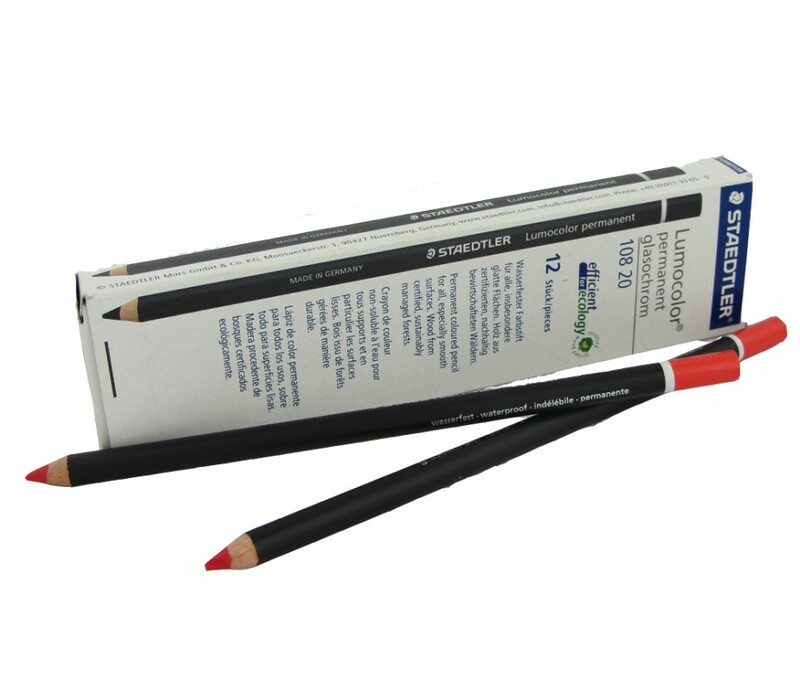 Traditionally known as a grease pencil the chinagraph pencil is designed for writing on any contact surface. Made from a combination of specially selected pigments and waxes to give unrivaled quality. The best chinagraph pencils available. The chinagraph pencil mark is impervious to water and dampness but marks and lines can be removed by rubbing with a damp cloth.